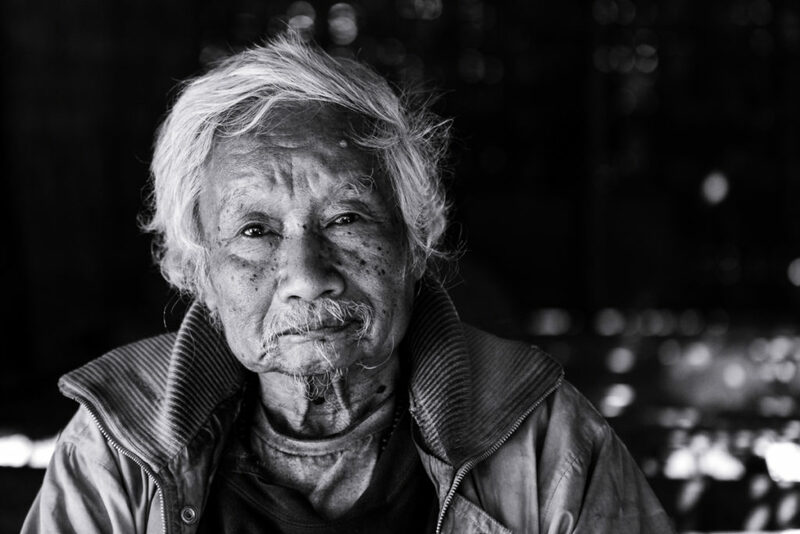 This is the first post in a series of articles about Myanmar. As a picture is worth a thousand words, I will focus on images that speak for themselves, each one including a short footnote. I hope they are strong enough to present different topics. The first topic is about Myanmar people. I took these pictures during my trip in January 2018. Let’s know more about this amazing country! 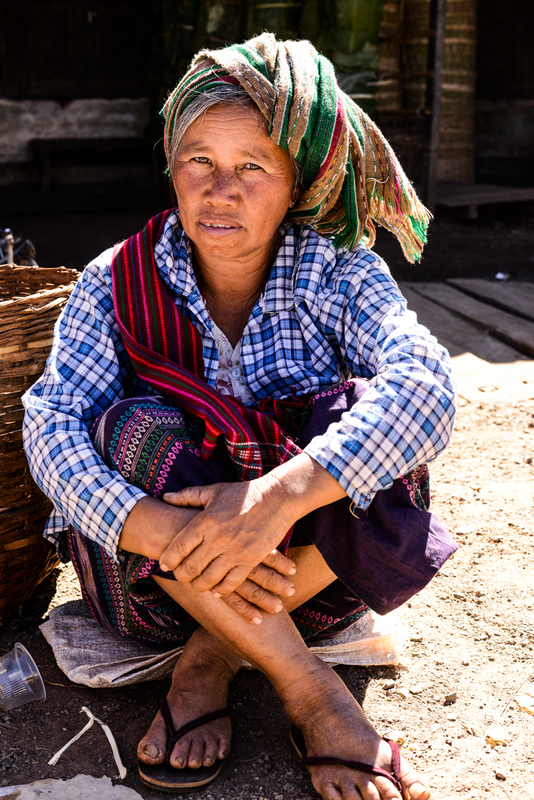 I met this woman in Mingun, close to Mandalay. I got off the touristic area and I found authentic people with their real lives. This woman was preparing breakfast and she invited me to join her. 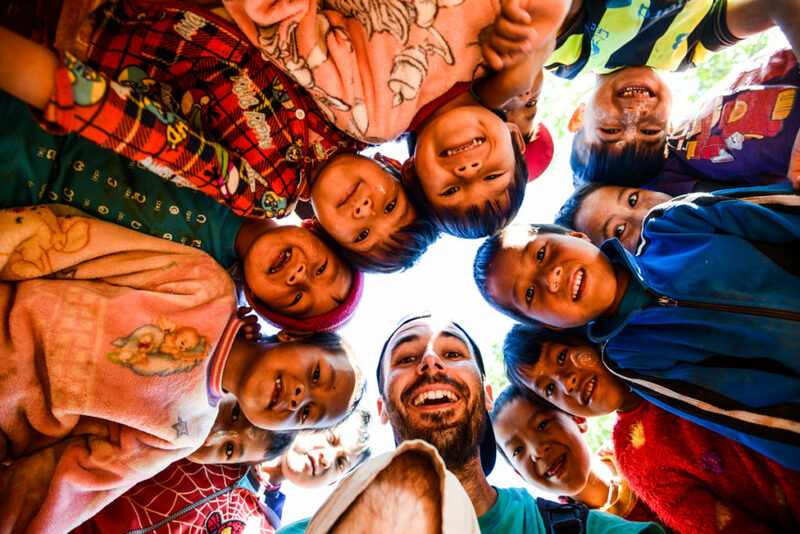 The kindness of Myanmar people is unlimited. The smile of this woman selling veggies in the market of Aung Ba speaks by itself. 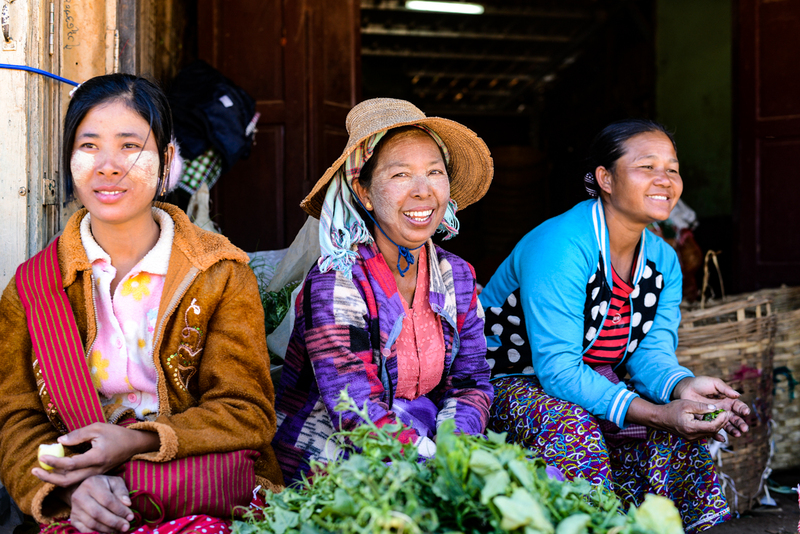 Myanmar people lead a simple life and they use any excuse to smile. Look at the colors of their clothes and their faces painted with Thanaka. 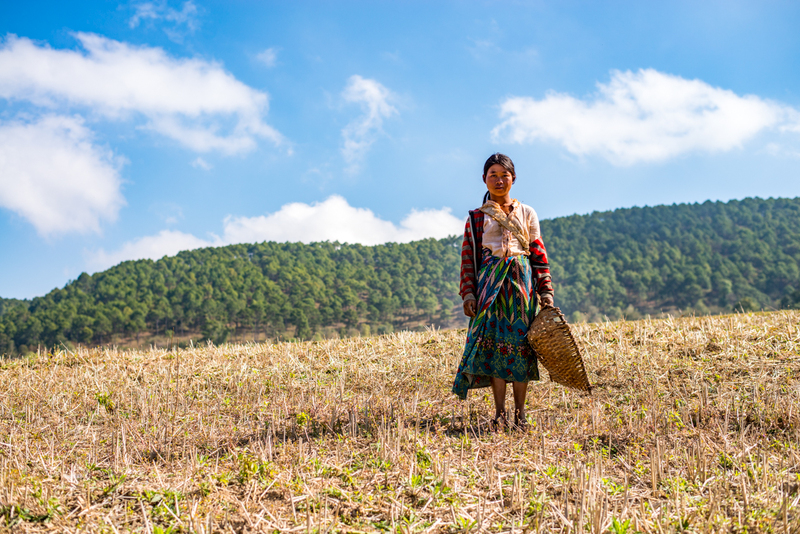 This girl was walking determinedly in the field but she stopped and accepted to be taken a picture. I don’t know why but this picture takes me to the land of Native North Americans. She is between the ground, the forest, and the sky. 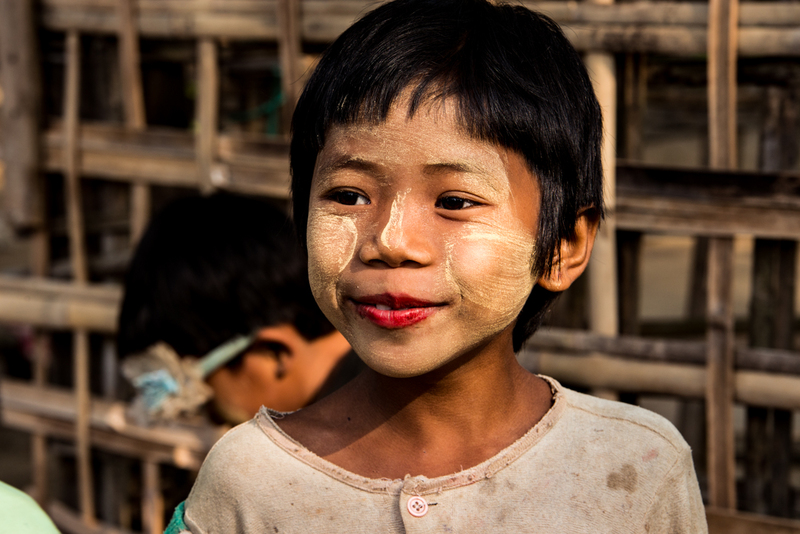 Child with the face painted with Thanaka (wood powder), a practice that is strongly linked to the Myanmar culture. 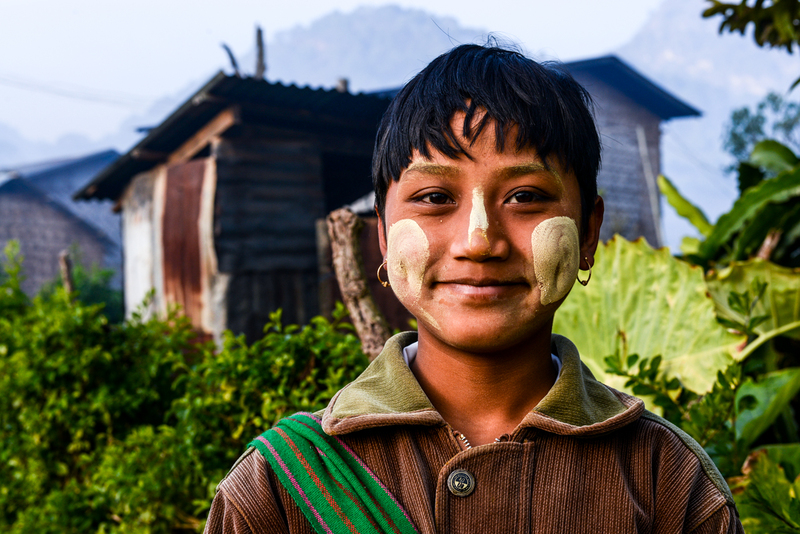 This child lives in the village of Myinmahti where I built the first mandala medicinal garden of Myanmar. 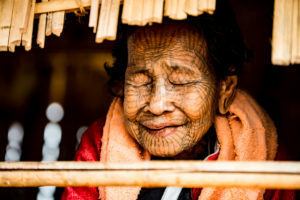 Wisdom can be easily seen on the faces of the elder people in Myanmar. This man was peacefully talking to a woman in the market and he smiled when I asked him for a picture. 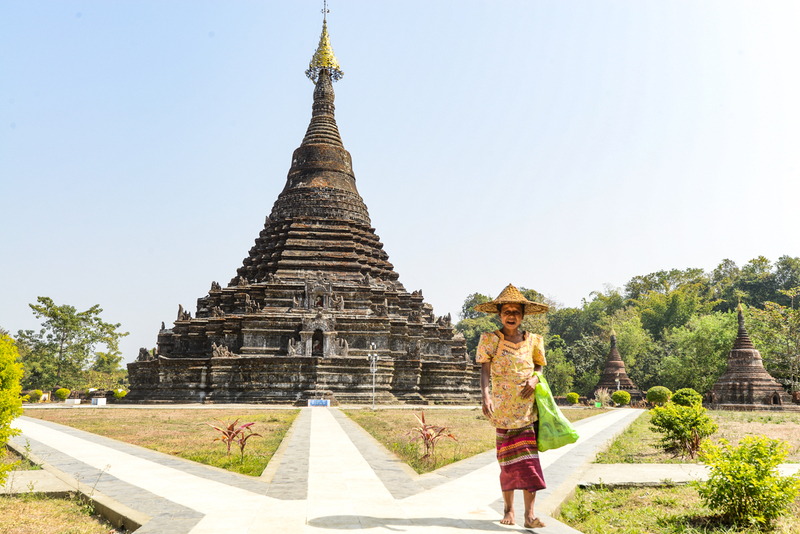 Myanmar is the country of the pagodas. 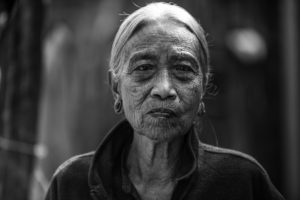 I was lucky when this local woman appeared in front of me. Life in Myanmar is not easy for anyone, children included. 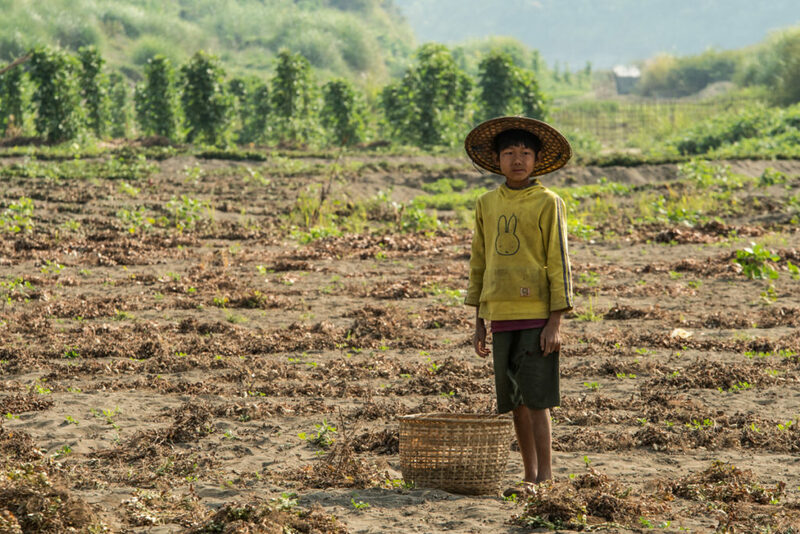 This child was working in a peanut field close to Mrauk-U. 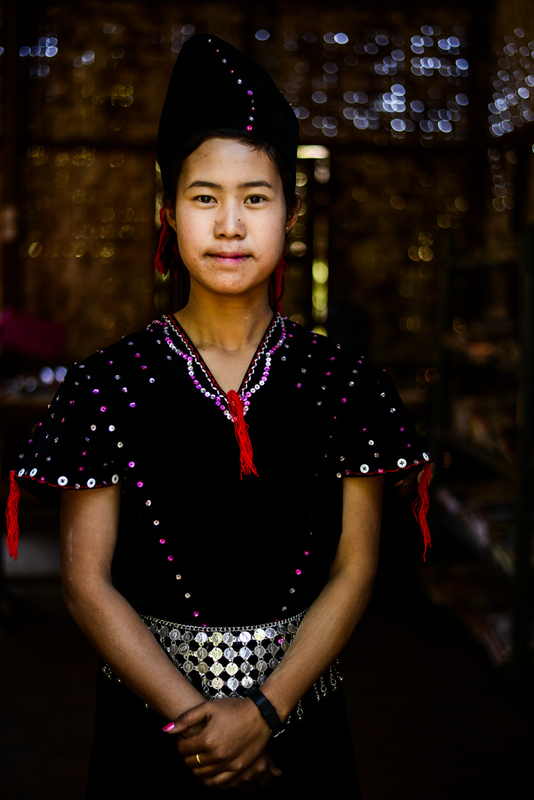 The diversity of people that you can find in the Aung Ba market is amazing. I like the expression in this woman’s eyes. I think they are extremely powerful. I see a world that needs new ideas and new approaches to face big challenges regarding environment, freedom, equality, and energy. We can pursue these only if the world became more creative, open-minded and playful. 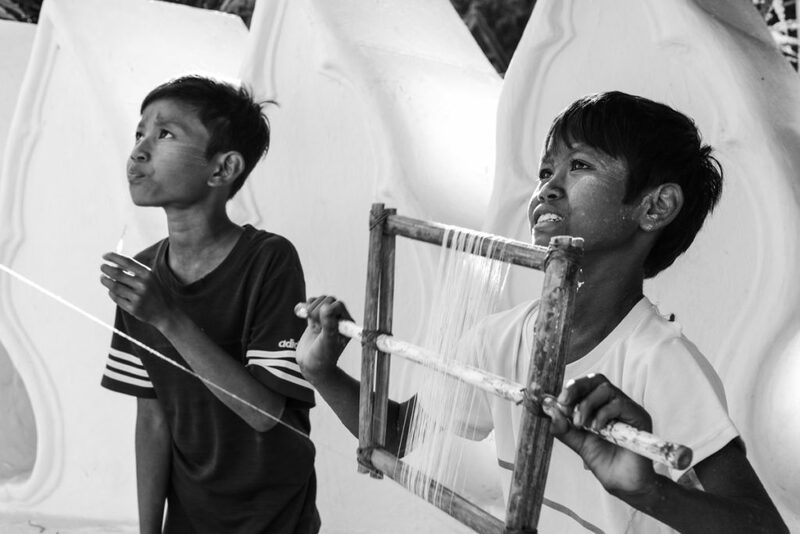 Let us learn from this couple of Burmese kids who dare to send their dreams high in the sky. 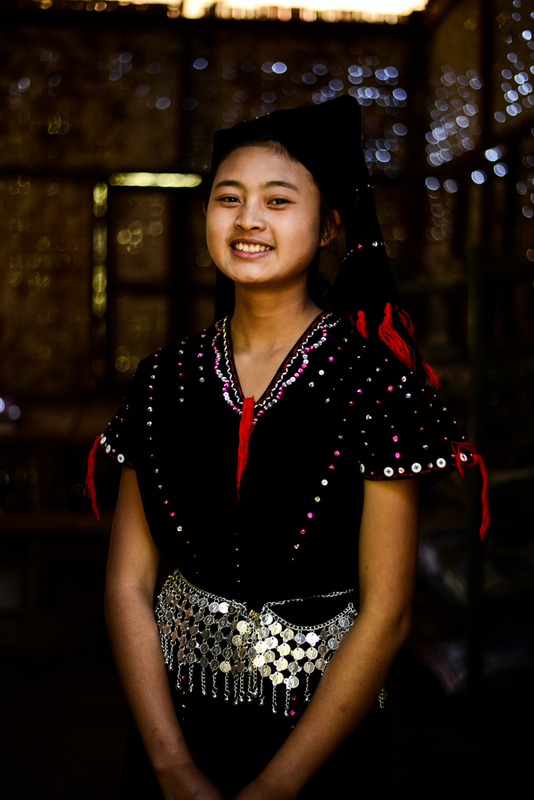 The ethnic diversity of Myanmar is awesome, with 135 different ethnic groups officially recognized by the Burmese government. Their traditional clothes and accessories are simply beautiful. These women from Myinmahti proudly wear the Nung clothes. This image is quite usual in many villages of Myanmar. A man squatted with a cigarette in his hand and looking at the people who pass by. I would have loved to read his mind and know what he was thinking about when I was taking the picture. I observed that younger children in Myanmar would start crying when spotting me. Fortunately, a bit older ones were curious so they would approach me. 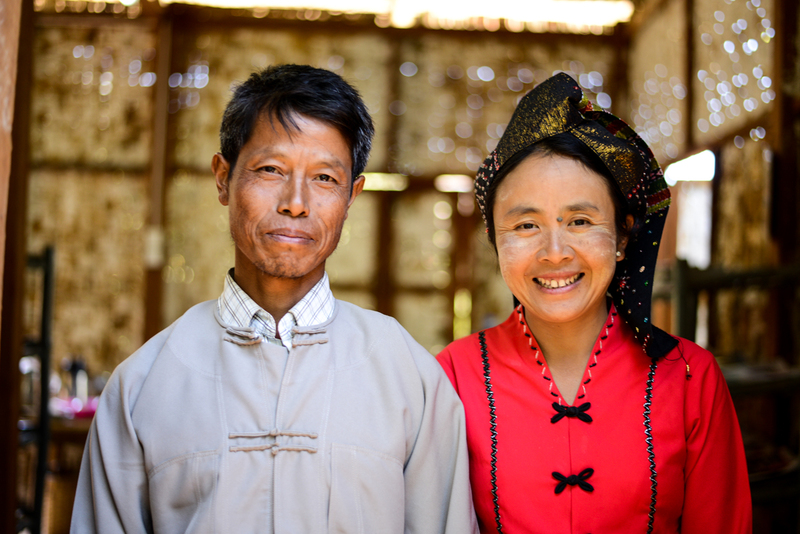 Hnin Hnin Mar and her husband Aung in traditional clothes. What a beautiful couple. I spent 10 days at their place and it was a great experience. 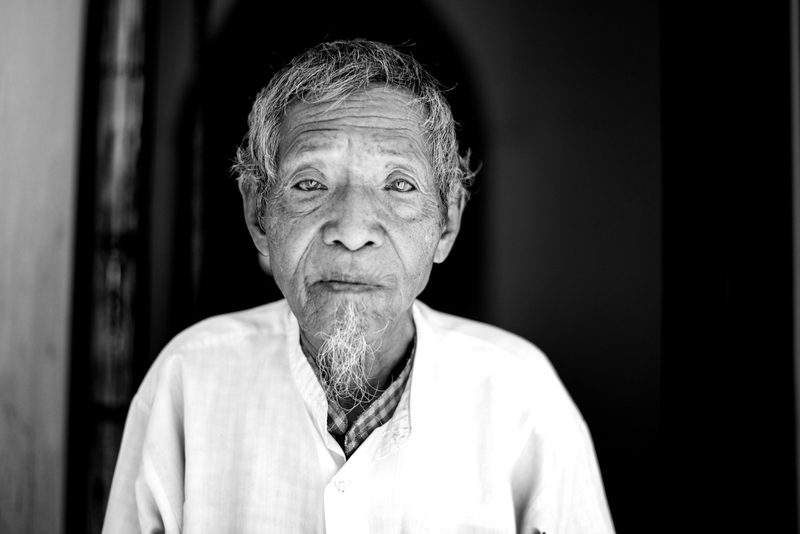 This man is responsible of a temple in Mingun, close to Mandalay. He was taking care of wiping the floors and maintaining the altar of Buddha. 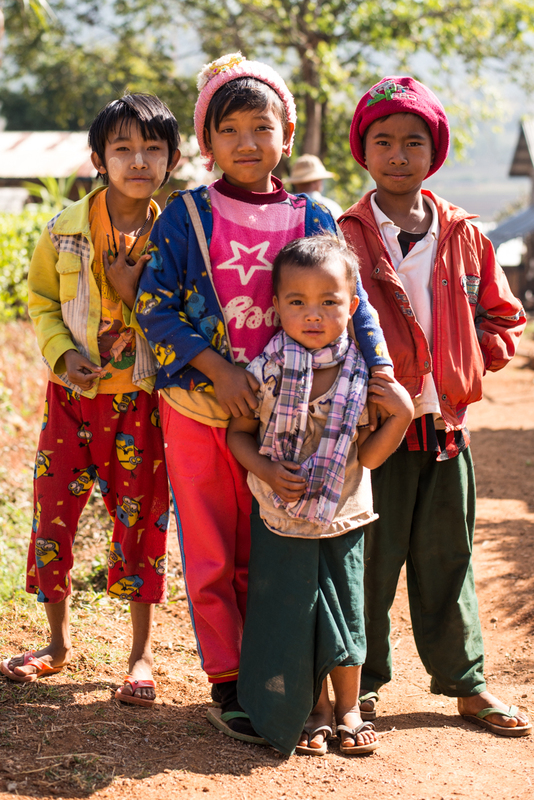 In one of the trekkings, while passing through some small villages not too far away from Kalaw, I found this group of children. As there are not too many tourists around they got curious. 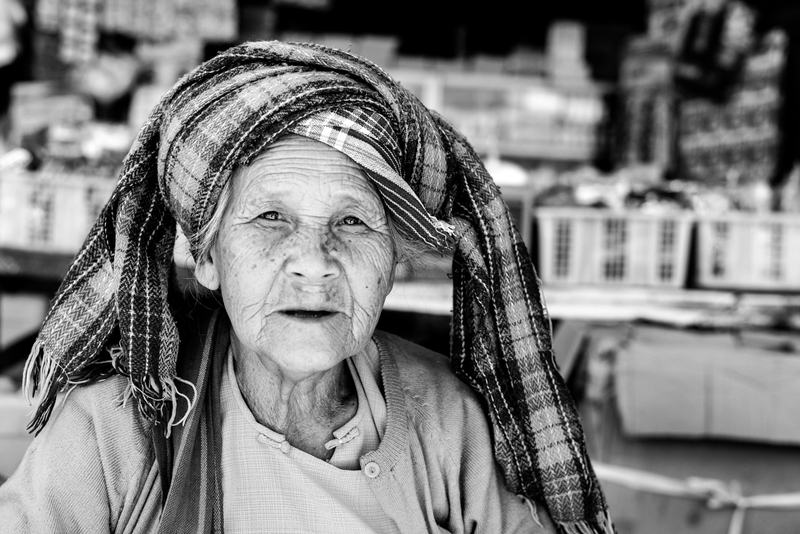 The towel/scarf that this woman wears on her head is a tradition practiced by women and men in some areas of Myanmar. The ethnic group of Chin is well-known because of the tattooed women. It seems that the beauty of the women of this village was famous across the country and men from other regions used to kidnap them. The men from the village decided then to tattoo their faces to solve the problem. 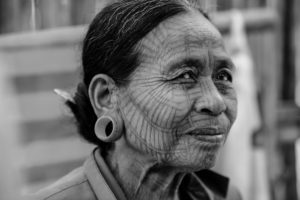 Although the practice stopped years ago, one can still meet some of the Chin women with the beautiful patterns on their faces. 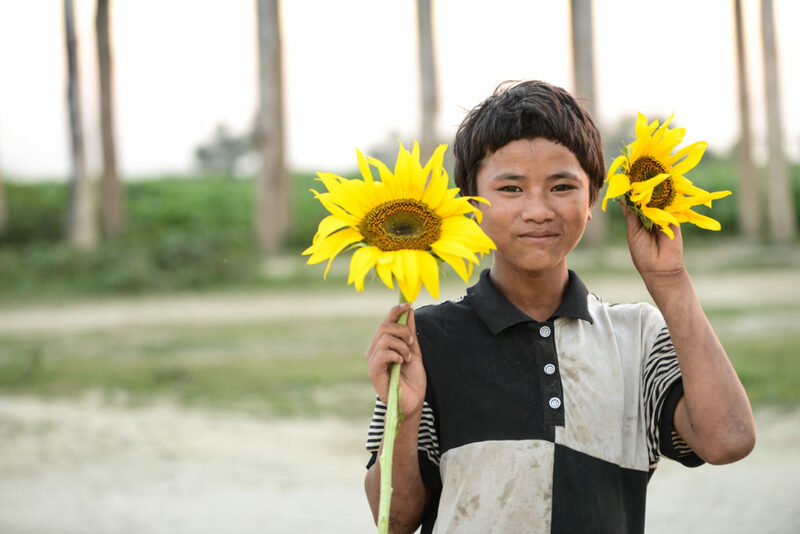 This child was not selling the flowers but he looked at me and showed me the sunflowers with a smile on his face. When I took this picture I was in front of U-Bein bridge in Amarapura, accompanied by a nice elder local man who became my tourist guide that evening and who invited me for a tea at his place. 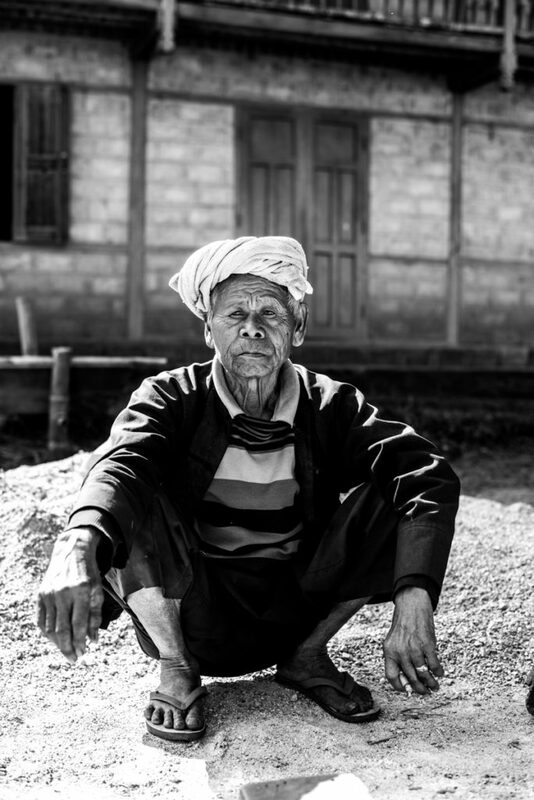 I found this man in a small village close to Bagan. 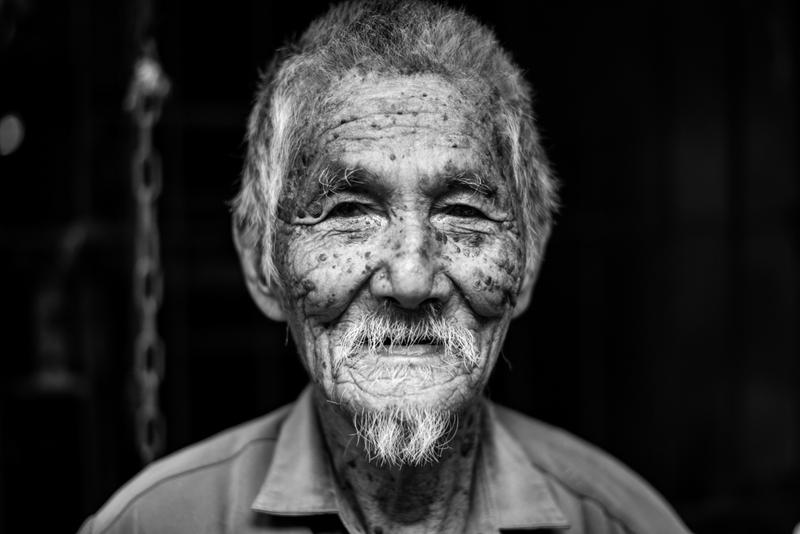 When I passed in front of his place, he suddenly smiled and asked me to take a picture. Then as I started preparing my camera, he took probably his best jacket and made sure he looked good for the shot. 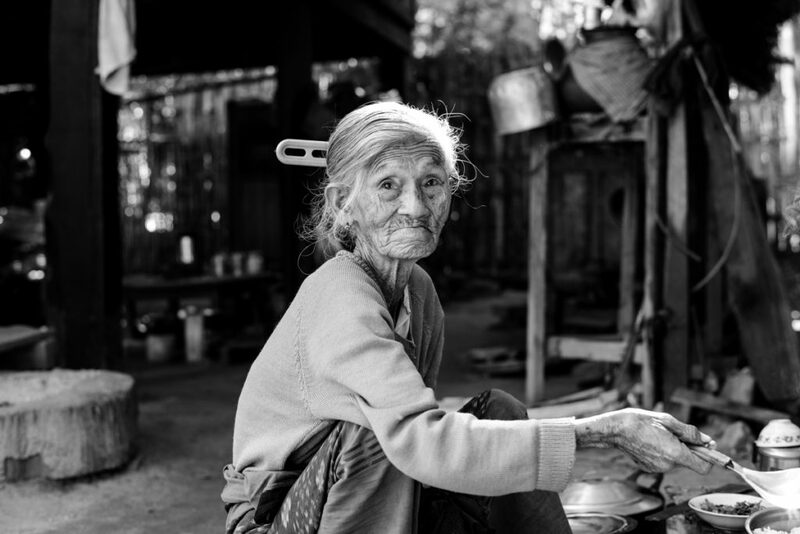 A woman in Myanmar plays a key role in society. Women are respected and they make important decisions at home. 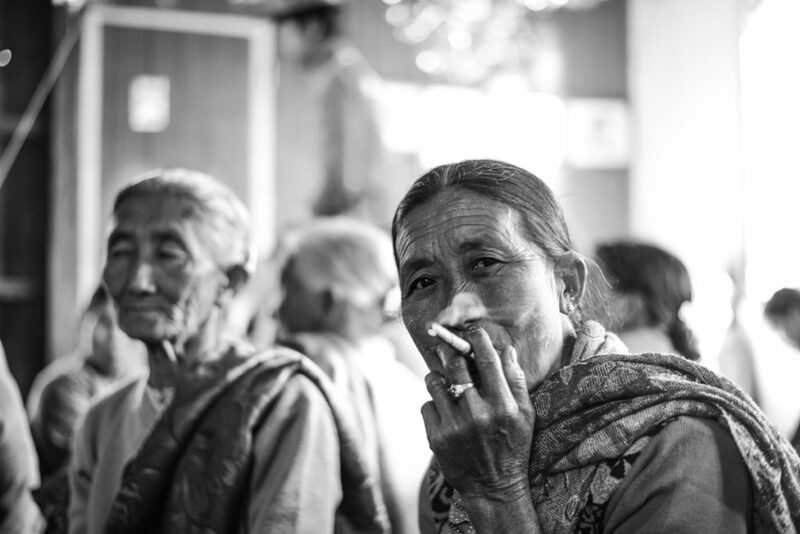 This woman was enjoying her cigarette in a wedding I was invited to. 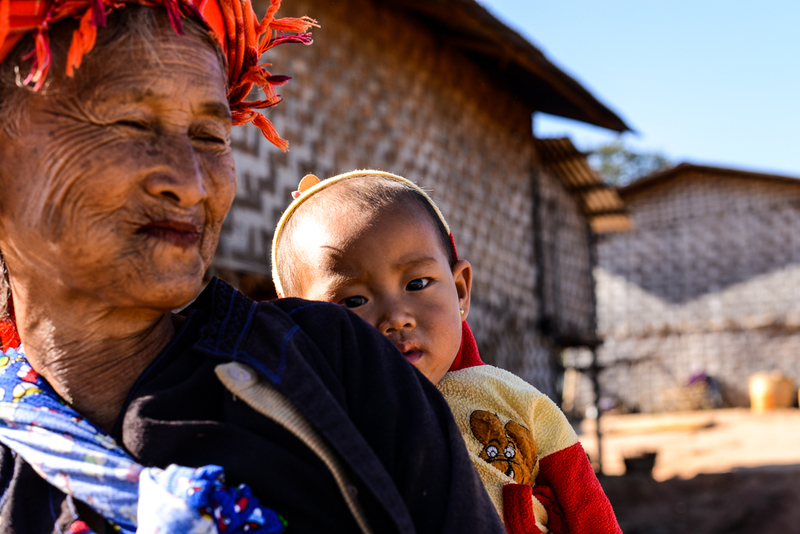 The family is really important in Myanmar where different generations live in the same house and the members help each other.